I hear about many people cooking the food for their doggies using various ingredients!! As I told you before Cocoa is allergetic so we have to take great care with her food. 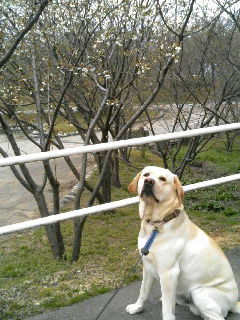 cocoaママさん I guess human dish without any seasonings would be also available for doggies. Of course there are some unacceptable food or vegies which we have to consider. I really do not know which doggy food would be safe for doggies now. So only the way we just keep cooking for Happy. Muttkun has been eating cooking food with dry doggy food since he was small. Happy used to eat only doggy food until last year.